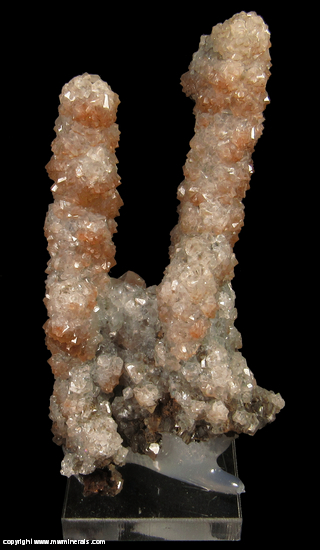 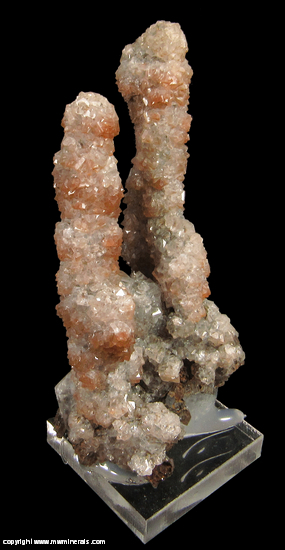 Two parallel stalactites arising from a common base and covered with rhombic Calcite crystals. 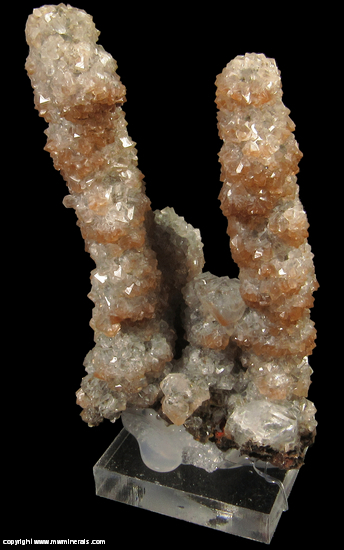 The underlying stalactites are dark brown in color and are likely Goethite. 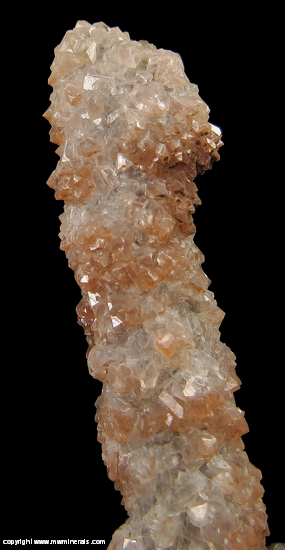 Although the Calcite crystals are clear to white in color, with areas tinted reddish brown by iron oxides, the overall color is a light gray coloration due to the underlying material. 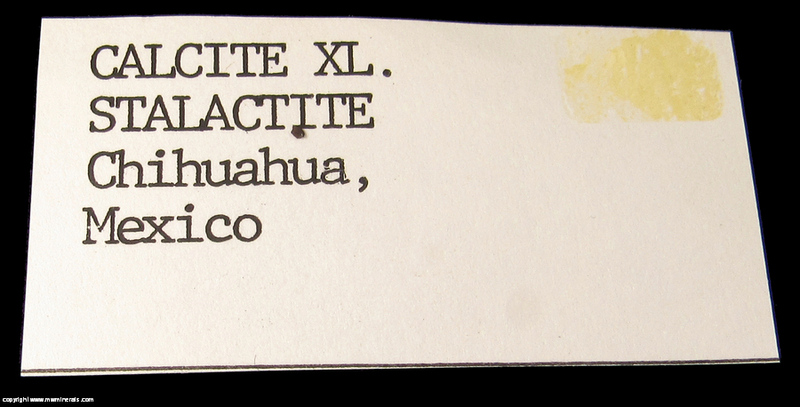 The specimen is on a base composed of an acrylic base, some styrofoam and hot glue which displays the specimen to full advantage.